Originally published in the Mineralogical Record vol 43. September-October 2013. The Huanggang mining complex is rapidly becoming famous with collectors worldwide. Many dealers have christened it the "New Dalnegorsk" for its fantastic richness of mineral species, and their similarity to specimens that came out of Russia in the 1980s-1990s. The Huanggang “mine,” located in Kèshíkèténg Qi (County) near Chifeng (nearest big city), Inner Mongolia, China, is actually a complex of seven major mines which are to some extent con- nected. Our intent in this short article is to provide some context for the specimen production of this important modern locality. For sheer scale and mineralogical diversity, we believe this locality to be the most exciting new “mineral cornucopia” in China since the specimens from the Yaogangxian (see The Mineralogical Record 2011, vol. 42 (6), 557–603) and Ping Wu mines (see The Mineralogical Record 2005, vol. 36 (1), 45–57) first reached the Western market in the mid-1990s. From Shanghai where one of us (XC) is based, the journey to the Huanggang mines is about 1,400 miles. 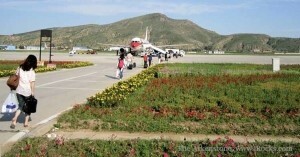 It is approximately 4 hours flying time from Shanghai to Chifeng city, with a sometimes long stop-over in Tianjin City. Then a bus ride from Chifeng City to Kèshíkèténg Qi takes another 4 hours or so on generally pleasant roads. Keshiketeng is a popular vacation area for the locals, with nice clean air and wide landscape vistas. In our experience, people are very friendly there. An unusual problem for a mining destination is that the Huanggang area is so pleasant during the summer that the flood of visiting tourists makes it difficult to get a hotel room on short notice. As an aside, the local people normally eat more meat, and drink more and stronger wine, than most Chinese—as we discovered when we were trying to keep up at the dinner table with a group of Mongolian dealers we entertained in Shanghai! The winter weather in the Huanggang area is very harsh, and driving to the mines in a normal vehicle is sometimes nearly impossible. But, the commerce in minerals must flow, and dealers must arrive to view them regardless of the elements. 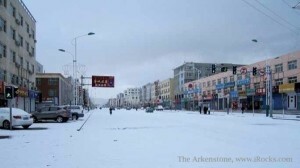 In wintertime it can get very cold at night, and it is difficult driving on snow-covered roads anywhere outside of the town center (as when visiting the miners’ homes). 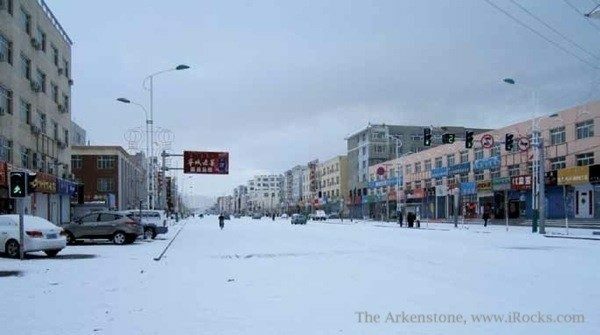 Winter in Chifeng, near the Huanggang Mine in Inner Mongolia, can be harsh and icy. Even more problematic for the specimen collector/dealer is the danger of thermal shock damaging fine specimens. If one is not careful in handling the minerals, they can crack and fracture due to temperature changes as they move from the cold mines into a warm home. Even just handling the clear fluorites with bare hands, once they come out of the mine, can result in cracking. 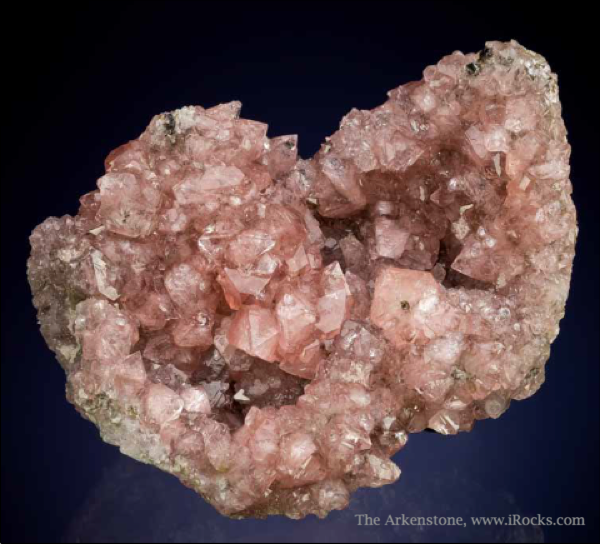 Many of the first pink fluorites found were ruined when excited miners quickly brought the freezing crystals inside to wash in warm water, rather than letting them slowly equilibrate. Specimens trickled out of the Huanggang complex from late 2009 to the Tucson show of 2010, although most were labeled as “Bautou District,” which lies about 700 km southeast of Hunaggang, in an apparent attempt to hide the true location of the finds by the first dealers there (a typical practice not only in China). We have worked hard to penetrate into the supply network surrounding the producing mines of Inner Mongolia. One of us (XC) first visited Huanggang mines in mid-June 2011, on the first of many monthly summer and winter trips to this remote locality. 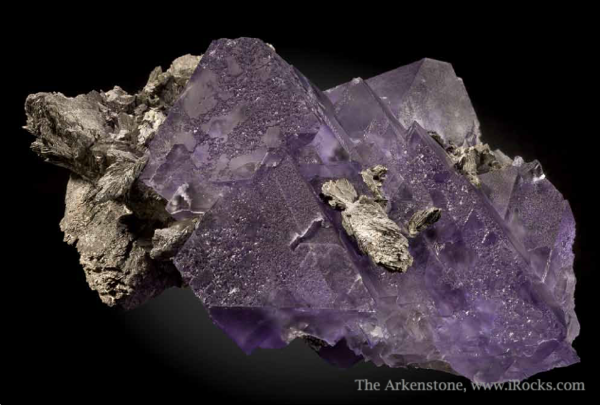 We have worked at purchasing the production of many different species, while trying to encourage the miners and dealers to preserve more specimens, to keep the crystals on matrix, and to protect them from damage. 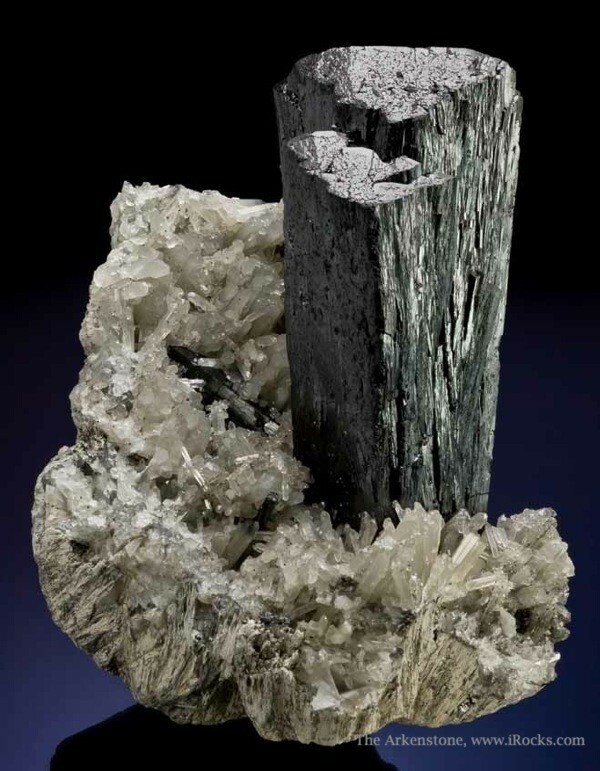 Around June of 2010, the first interesting ilvaite crystals were found at the Huanggang mine; these were not only world-class for the species, but simply huge as well. 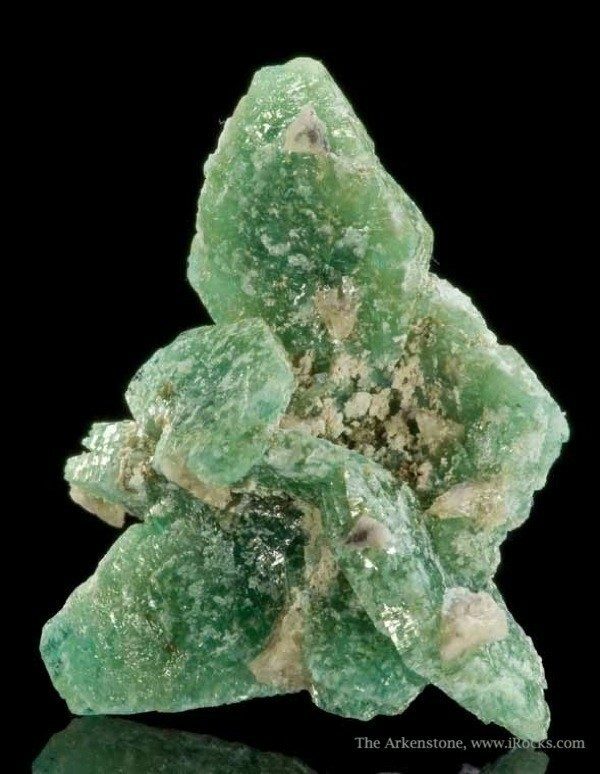 Ilvaite in a range of habits has come out ever since, with nice mixed associations on the best specimens; a pocket of very elegant floater crystals was also found in mid-2011. Later in 2010, we saw the first transparent, pink octahedral fluorite and superb arsenopyrite trickle onto the market in Guilin, via the local dealer network. 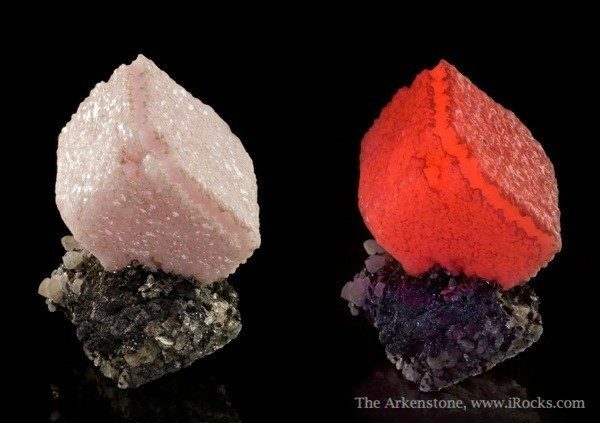 Unfortunately the best of the pink fluorite crystals had been purposely cleaved off of their matrix, before the miners had realized the greater value of matrix specimens. We have seen gem-quality, totally transparent pink fluorite crystals to 13 cm, cleaved in half to remove them quickly and easily from the matrix in the mine. 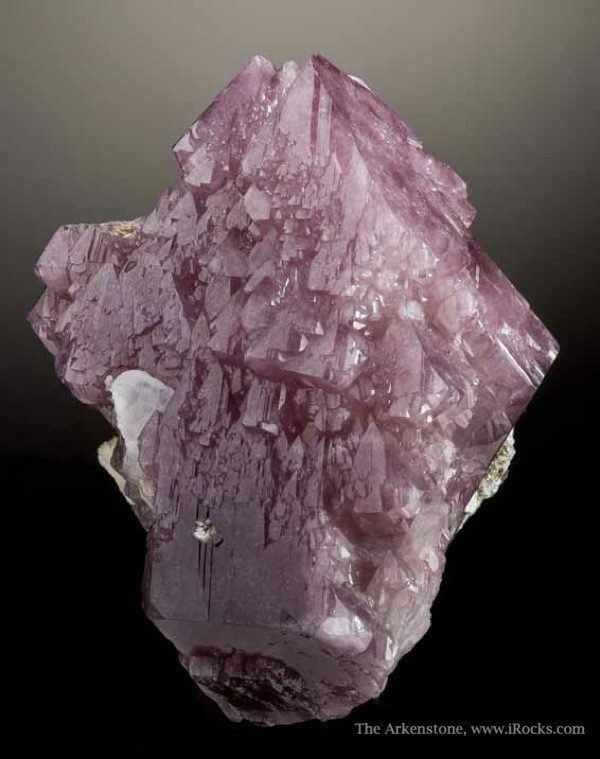 Although pink fluorite still comes out today, darker in color and generally of a matte finish, the current specimens cannot compare to those first few big gem crystals. Other species rapidly followed, once the significance of the “new” locality was recognized. 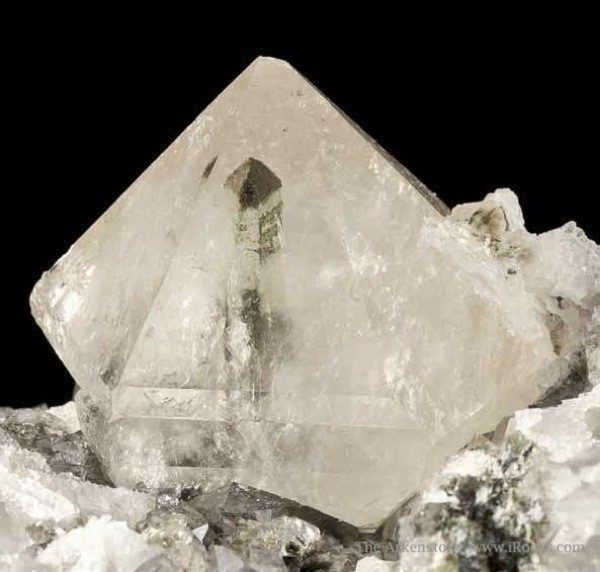 Calcite and quartz seem to have been discarded as worthless by the miners during the early phase of collecting, although now they are being recovered and are seen commonly on the market in China and overseas. 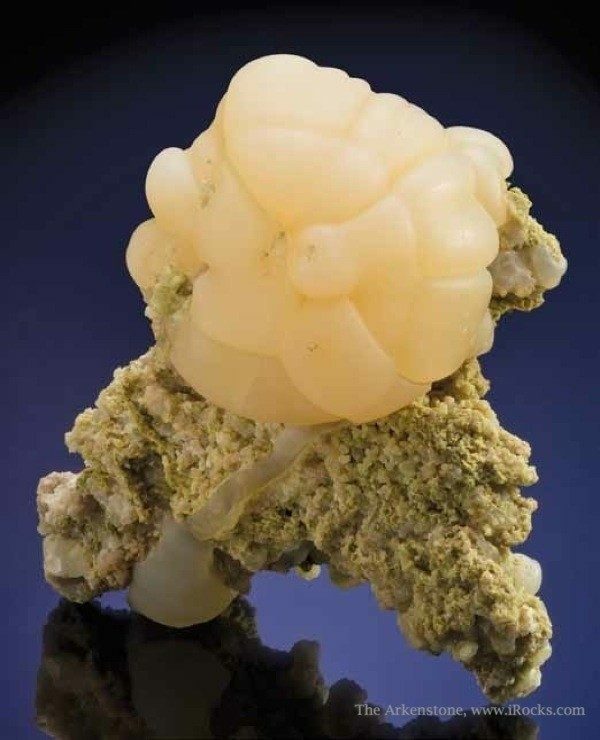 Attractive mineral specimens have been produced at an accelerating pace since late 2010, as Western dealers and major Chinese dealers travel to the source and camp out, awaiting new finds. 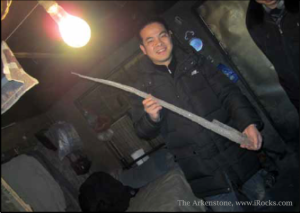 Proof of the harsh winters in Chifeng - meter-long icicles! Recently, several surprising finds have turned up. 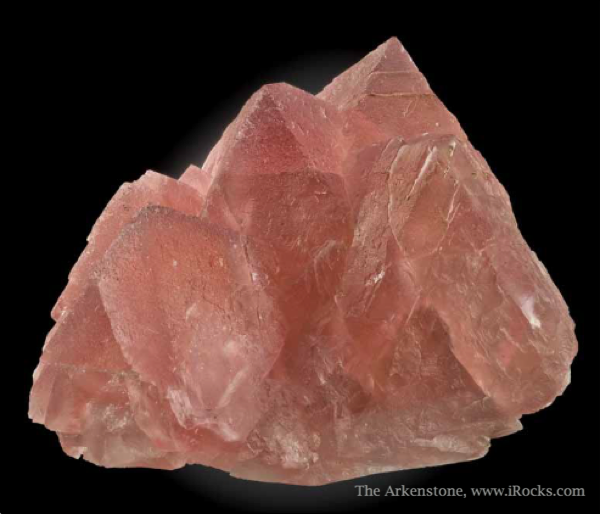 In late 2011, we saw several dozen intense pink, gemmy apophyllite crystals to 2 cm from several small pockets, superseding some pale examples which came out in early 2011. And, for a species “best” surprise, world class borcarite crystals (a rare and beautiful blue borate) were found and almost discarded as a “worthless zeolite” before analyses commissioned by one of us (RL) provided the identification. 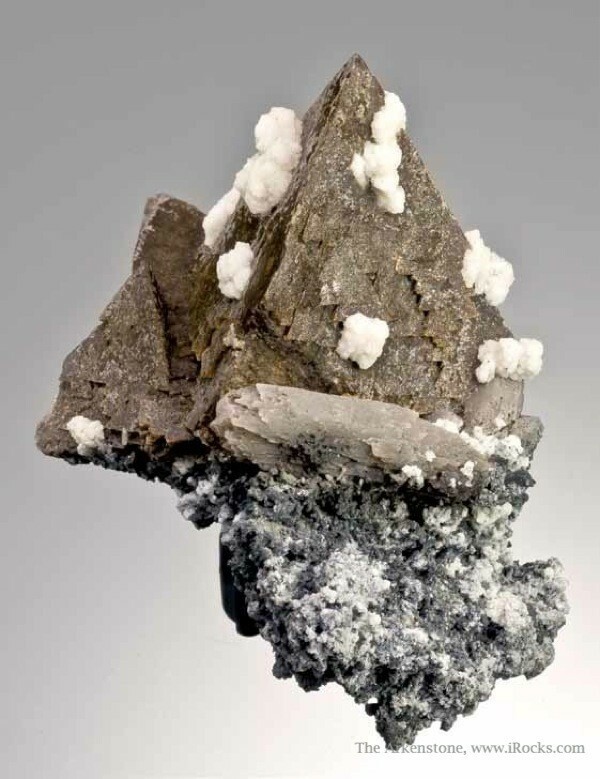 Paul Pohwat, collections manager at the Smithsonian Institution then noted the presence of sharp pyramidal white crystals to 2 mm in association with the borcarite, which turned out to be cahnite, only the second major find of this species in 100 years. 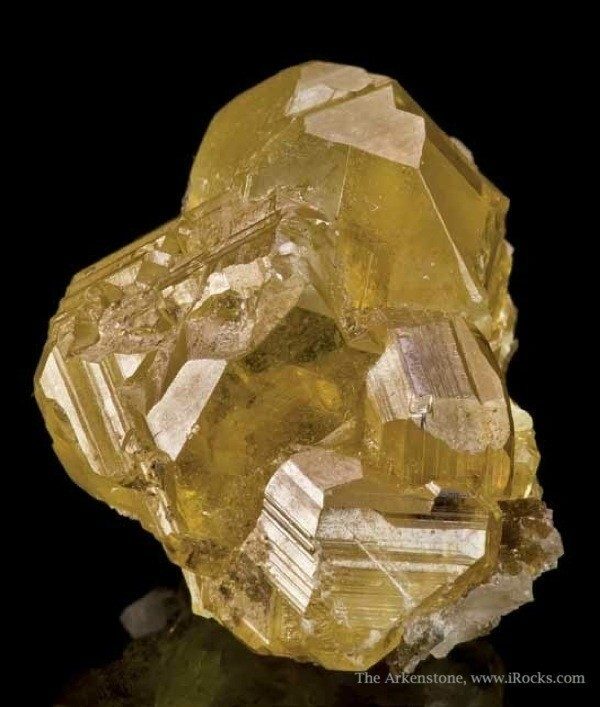 Remarkable sphalerite crystals, ranging from orange to lemon-yellow, gemmy crystals up to 2.5 cm, were found in early 2012. It is too early to get a sense of how many might have come out and whether more are likely to be found in the future. The Huanggang miners who collect all of the specimens prefer to sell in private, as do most miners around the world. Each work crew of miners has a special work area underground where they extract ore and collect specimens. They tend to be somewhat secretive, not wanting miners working other shifts to learn where they have been finding good specimens. After their shift the miners may contact a visiting dealer by phone and invite him to their homes to see what they have found. If there are six different teams working that night, each will have a different production to show, completely independently of the others. Although a bit of a generalization, most of the miners’ homes have the omnipresent smell of both cooking and sleeping, generally with little privacy. 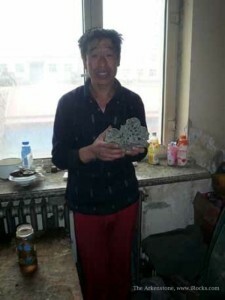 A miner offers a specimen with blue-green octahedrons and white stilbite for sale. Jiangbin Photo. After only a year and a half since the first specimens were marketed, almost every miner now knows that “rocks” can sell for good money, and prices have risen dramatically at the mine. Some miners have a good eye for specimens, although in general their collecting technique must be improved if they are to extract good specimens in larger sizes without so much damage. We have heard a general sentiment that in the “early days” of 2010, they did not charge enough money for best pieces, and so they now ask for higher prices for everything as a starting point to negotiation. 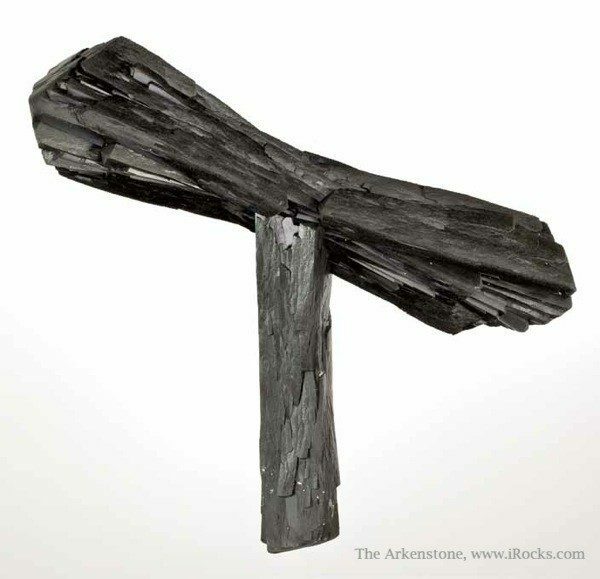 These miners may be new to collecting minerals, but they are definitely sharp and adaptable to the market. The result of their accumulating knowledge of valuation and quality, we hope, will be the collecting of even more and finer specimens, and a more careful approach to bringing them to market without damage. The pace of export has also quickened, with fine minerals sometimes showing up in the mineral markets in Guilin or at our buying office in Shanghai, within three to four days of being mined over a thousand miles away. We are fortunate to have good friends and suppliers there now. To access the best specimens first, many of these local dealers (friends of the miners) work very hard themselves. We know of several who stay awake the whole night along with the miners on the late shift, waiting for word of new finds when they come out in the morning. The formation of a local dealer network from the very beginning has accelerated the process of bringing these specimens to market faster and more efficiently than we might have expected. As a last note, we want to call the readers’ attention to several recent problems which have cropped up with rising specimen values. 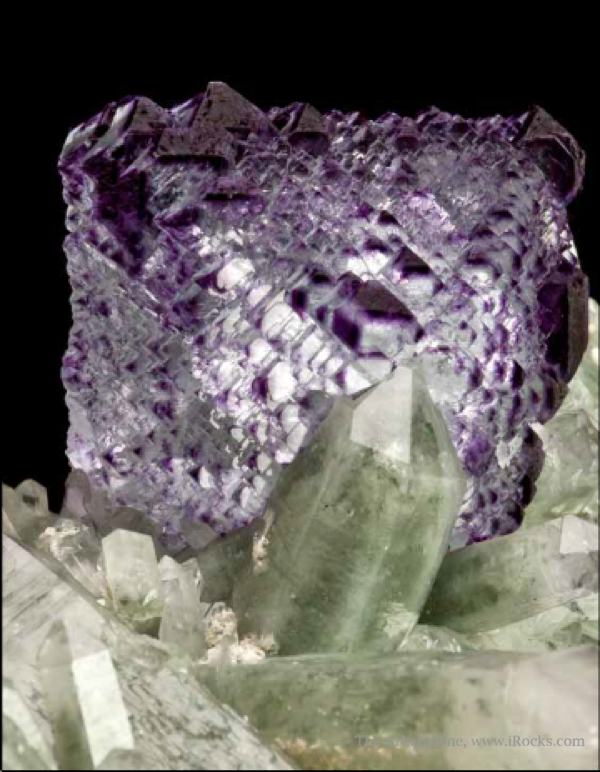 We have seen numerous lots of otherwise fine fluorites which show signs of polished or ground faces. Also, the first repaired specimens started showing up in early 2010, and we catch a few occasionally coming out in the mix. Not surprisingly, the value of fine mineral specimens is astronomical compared to the local economy and the cost of living here. So, there is a huge incentive for clever tricks to make specimens more presentable and salable. It used to be that such techniques took years to reach the new mines and new sources of production. 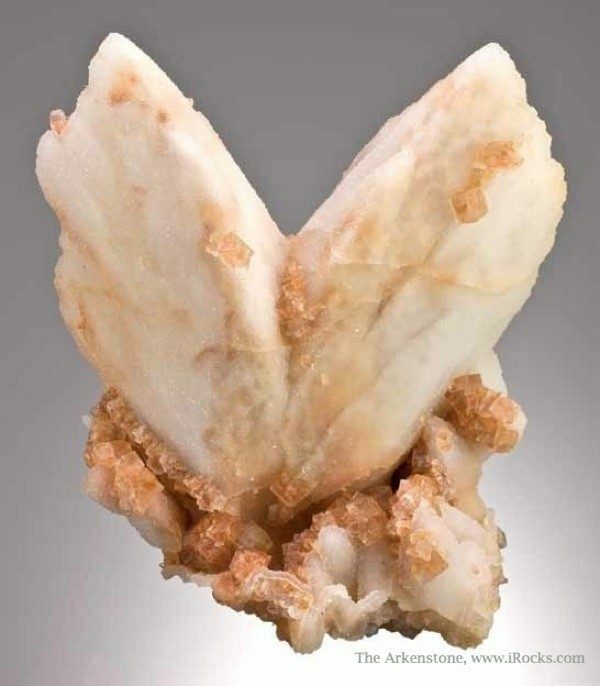 To view more fine minerals from the Dr. Robert Lavinsky Collection of Fine Minerals, read the free e-book Crystalline Treasures - A Mineral Heritage of China. 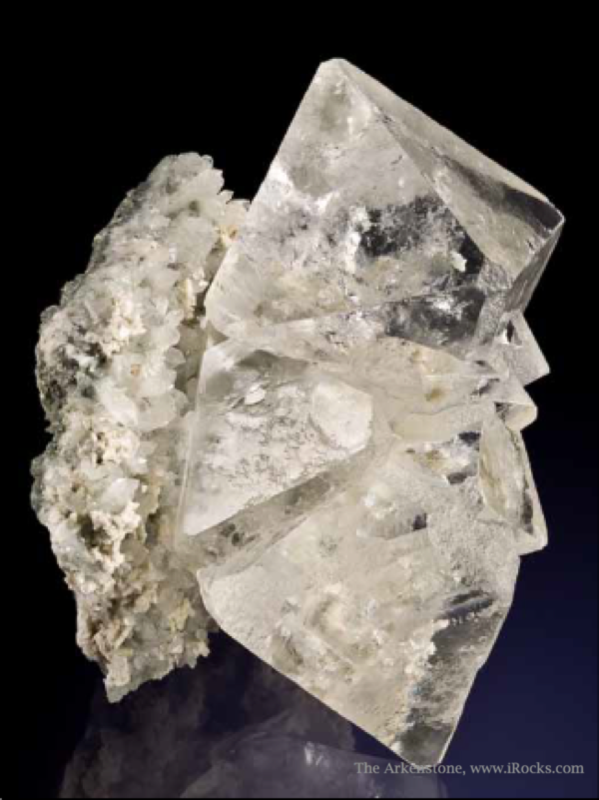 Below you can view in the original layout as published in the Mineralogical Record. To view fullscreen, click the black "Click to Read" button.